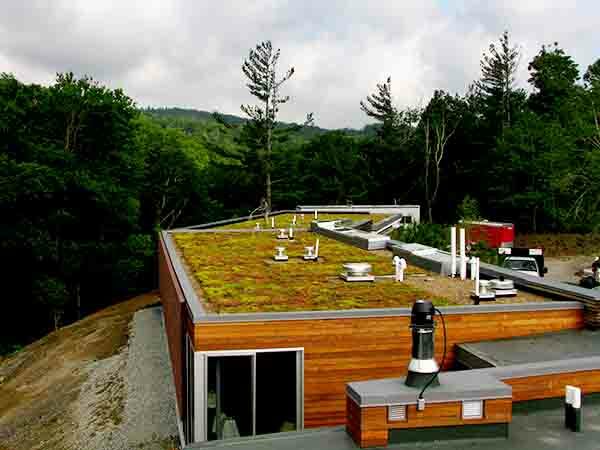 Blowing Rock Residence | residential | Living Roofs Inc.
High up with views of the Blue Ridge Escarpment. 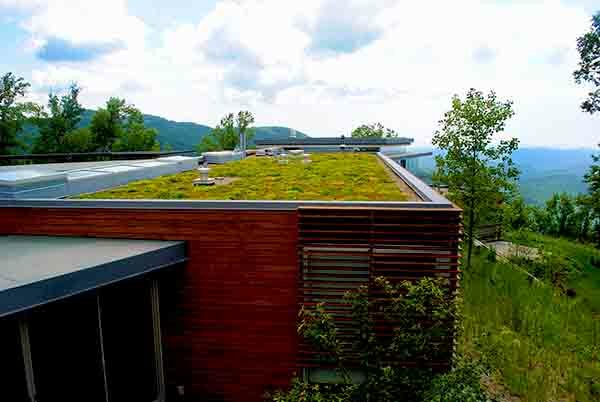 This residence takes advantage of outstanding views of the Blue Ridge Escarpment. The home itself is a two story wonder of architectural beauty and creative integration of structure and site. 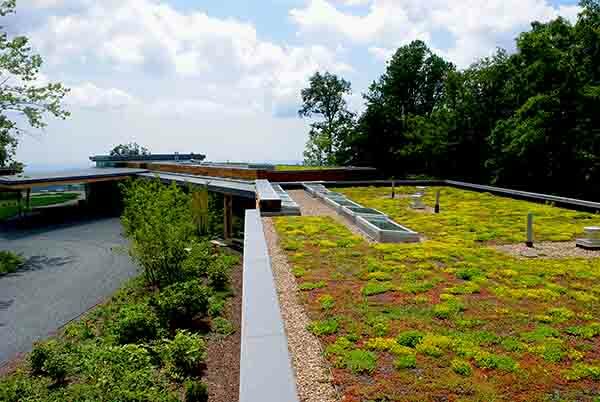 LRI installed a prevegetated green roof system; keeping the structural load to a minimum and providing a quick green roof effect. The vegetation is a highly diverse mixture of deciduous and evergreen drought tolerant species.